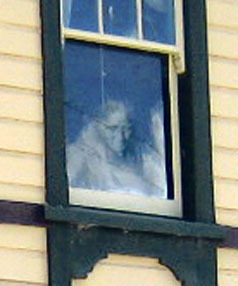 Andrew Watters took a picture of what appears to be a ghostly apparition. 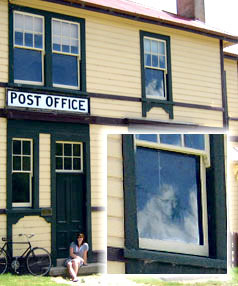 The picture is of the old St Bathans post office near Alexandra. Could this picture be proof of the afterlife, a more natural phenomenon like clouds or is it faked? For most they will believe what they want. For me the value in a picture like this one is it’s inspirational value. To dare to dream that ghosts walk amongst us. That phenomenon beyond our current science knowledge occurs all around us. The questions it raises is what makes it worth sharing.